Derrion: Hello Everyone! 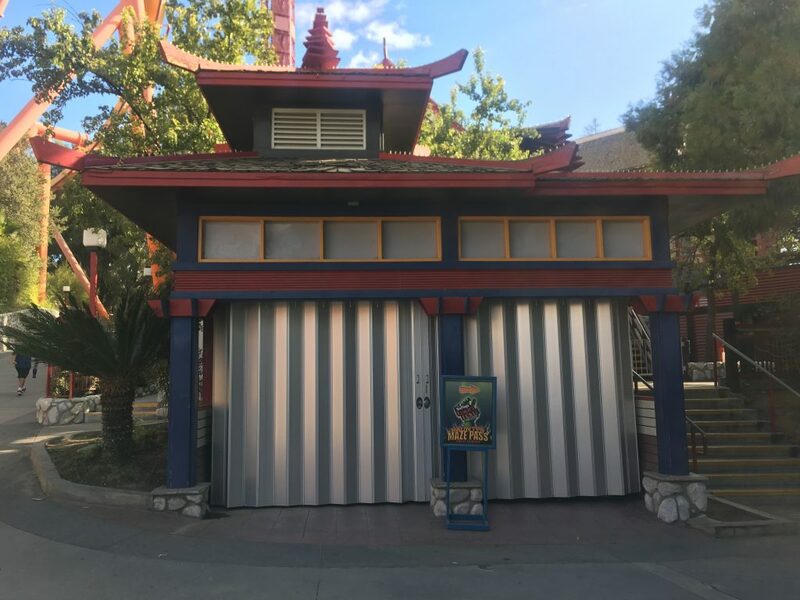 I thought it would be great to take a quick detour from all of the Fright Fest activities and swing by Six Flags Magic Mountain for a quick park update. There were not many changes this time around because of the on going halloween event but I was surprised to see how beautiful the park was today. 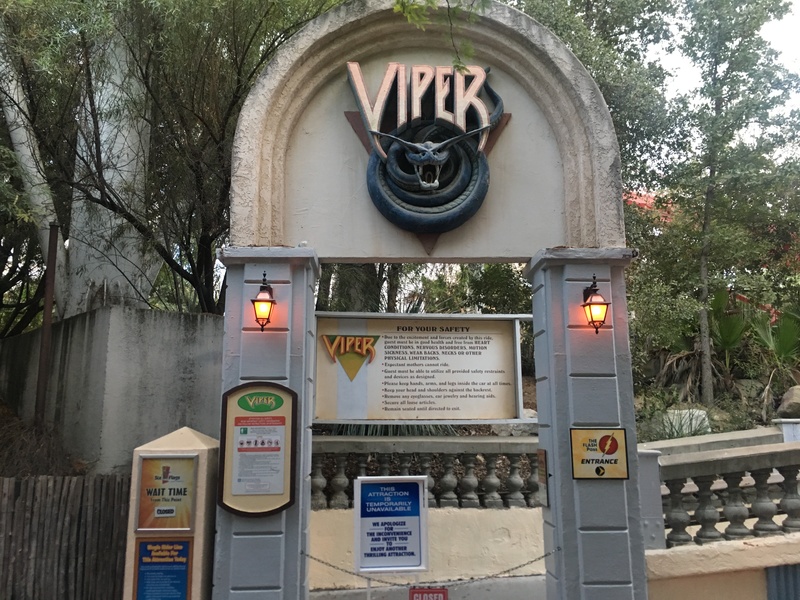 We miss Viper! This attraction is still closed. The lamps however now have orange bulbs for the on-going Fright Fest season. The fall skies are beautiful behind Tatsu’s pretzel loop. This is one of the most intense elements on this beast and it does not disappoint at 124’ tall. 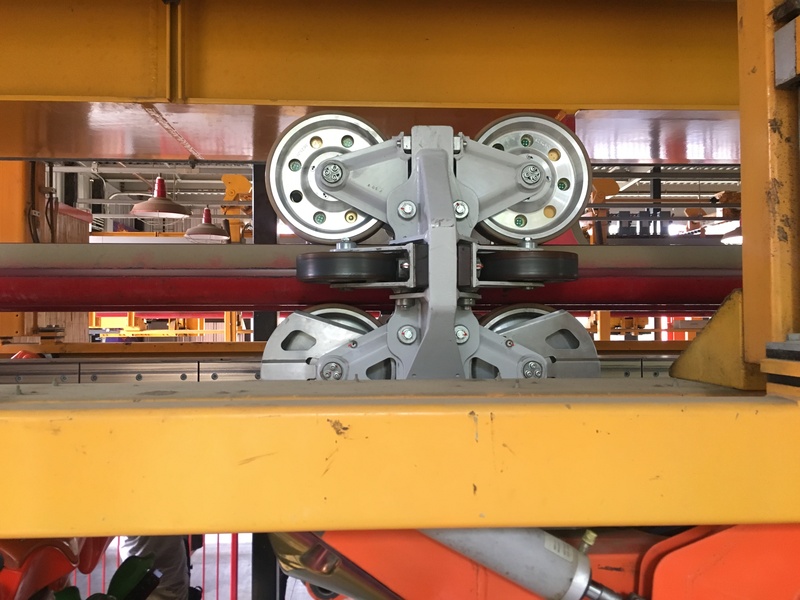 I thought it only fit I took a ride on Tatsu and to my surprise they were running the train with the new LED wheels. If you have been at the park at night you will notice that the lights truly make the trains look as though a fire breathing dragon is flying high above the sky. These lights add so much more beauty to the layout of the ride. 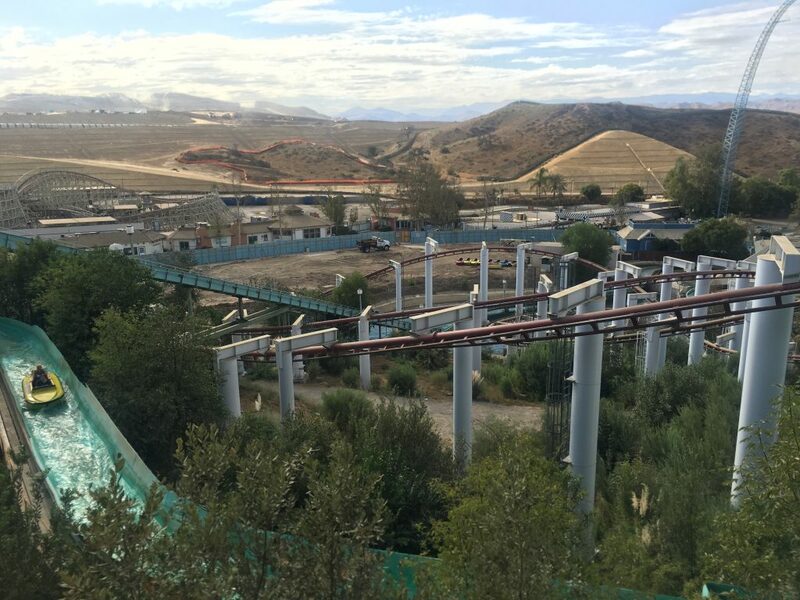 The ride layout for Apocalypse is still being re-tracked and will offer riders a smoother ride once it is completed. 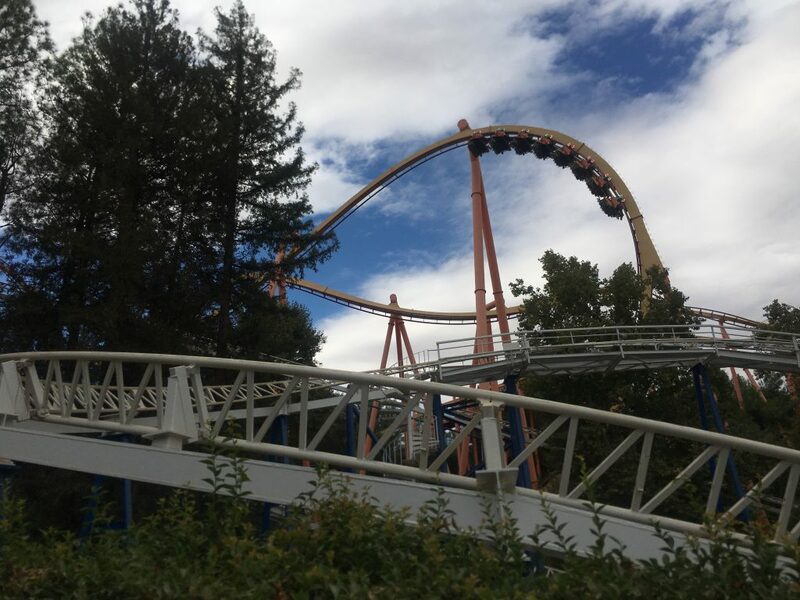 I am excited because this is the only sole wooden coaster in the park and Six Flags Magic Mountain does a great job of maintaining it. 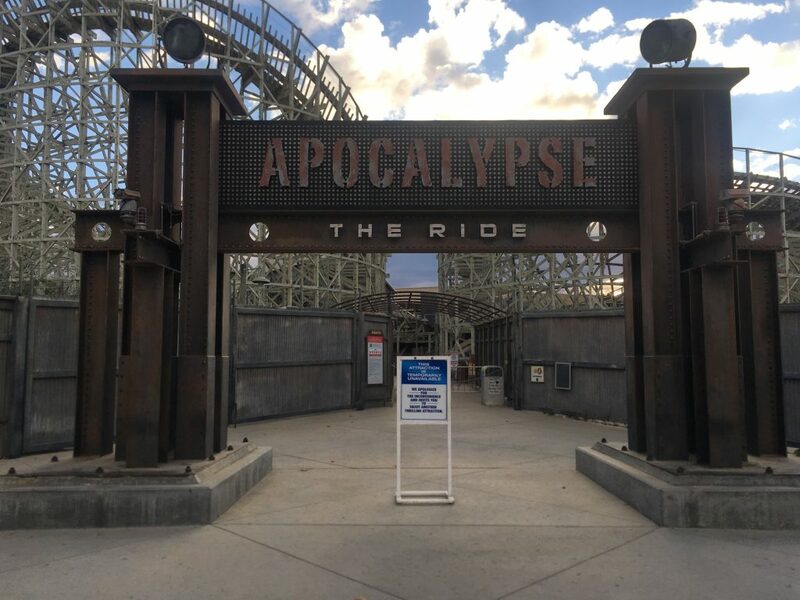 The coaster will re-open next summer as Apocalypse and will be in the new “LA-Centric Urban” themed area of the park in 2019. 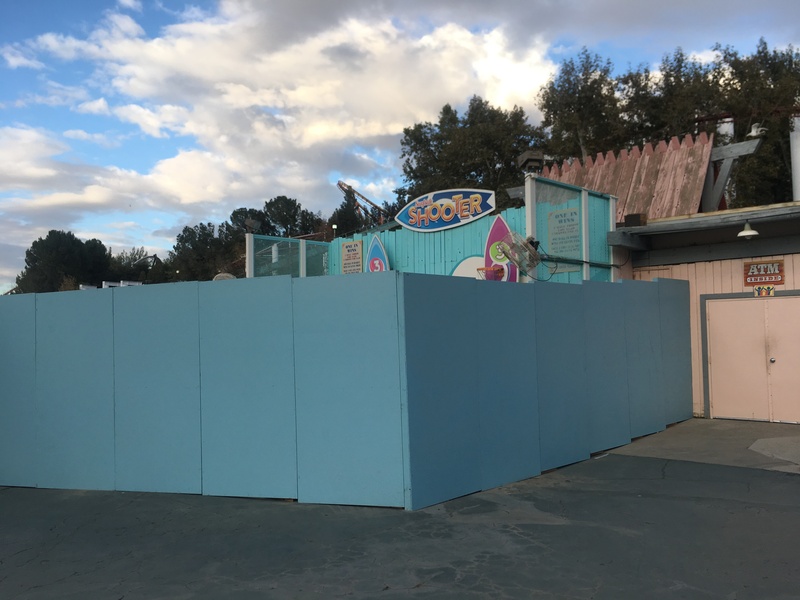 The construction walls are still up around the new West Coast Racers construction sight. The shooter carnival game has not been touched thus far, but there had been movement on the construction sight. More concrete demolition now extends completely behind the Xtreme Zone store. This is shaping up to serve as the brake run/pit stop as the ride coasts its final turn. Here is a closer look on site where a lot of dirt has been displaced. There are large holes now that will start to support future footers for the support structures. Again, it was just a beautiful day on the mountain. From this level you can truly see the beauty of the West Coast Racers space. 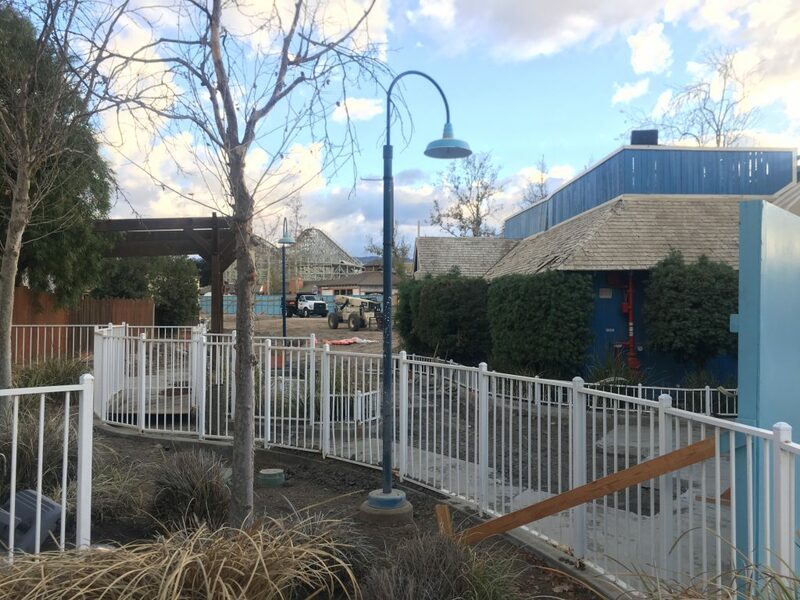 We are super excited for this new attraction and we should be seeing more additions to the sight in the coming weeks. After taking a stroll down from Ninja, here is a Fright Fest tip. If you need to purchase a maze wrist band there are several locations, including this one on Samurai Summit, around the park that will save you time because the line at the entrance of the park to purchase them can get very long. Going to the park during the week will definitely cut down your wait time for all attractions. 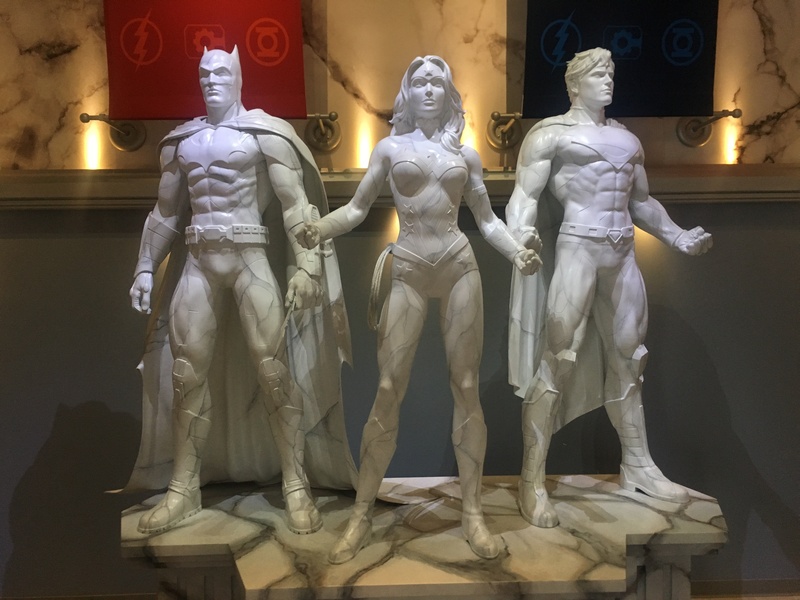 Justice League: Battle For Metropolis was another walk on for the day. If anyone knows me I am a huge DC fan, shout out to Aquaman, and this attraction has always been a great addition to the park. The ride itself combines 3D and 4D effects with a score tracking system that allows you to defeat the villains of Metropolis. The only downside today was that our photos were not captured at the end of the experience and some of the screens are not as vibrant as they were when the attractions first opened. Opening this past summer, CraZanity is extremely fun. It has become one of the guaranteed rides to experience on every visit to the park. Nothing beats swing above the trees at 170′. This section of the pak has truly become a place to visit and relax. All of building designs are very vibrant. Johnny Rockets now has a separate entrance for picking up food and guests can now order and dine in the same location. 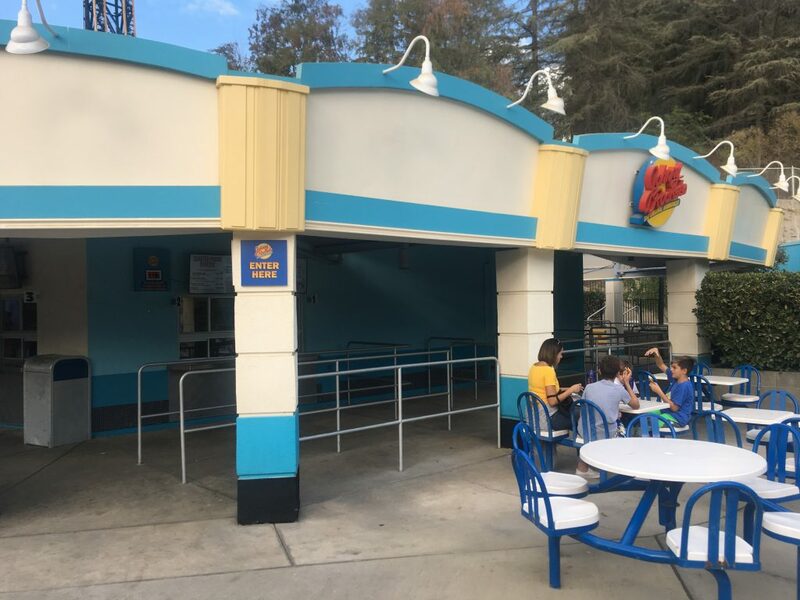 When guests need to pick up food it is now to the left of the restaurant. 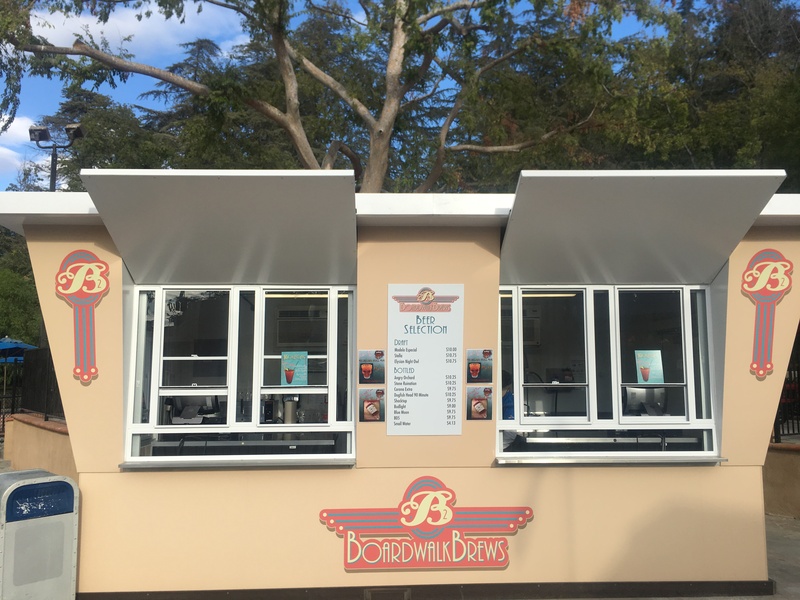 This creates better accessibility to pick up your food once you order and you can now easily wait in the dining area that is now open. 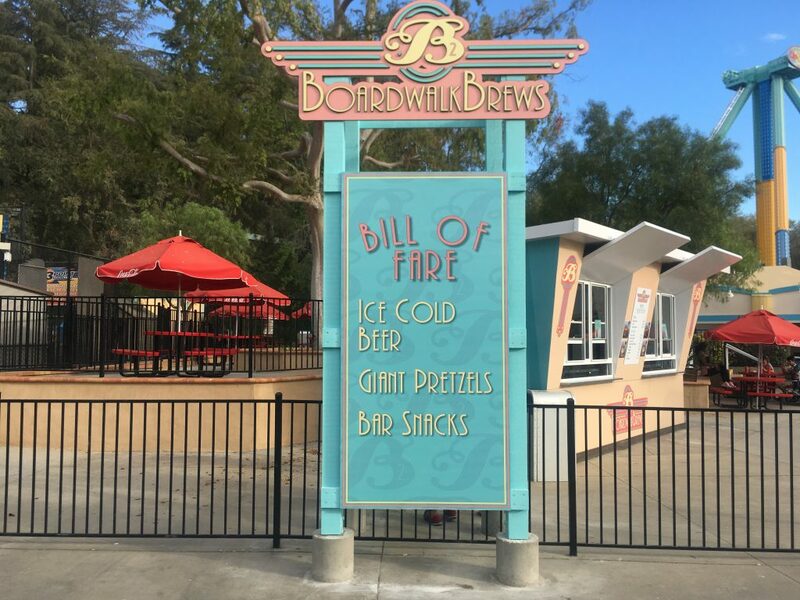 Another great addition to this area is the new Boardwalk Brews. 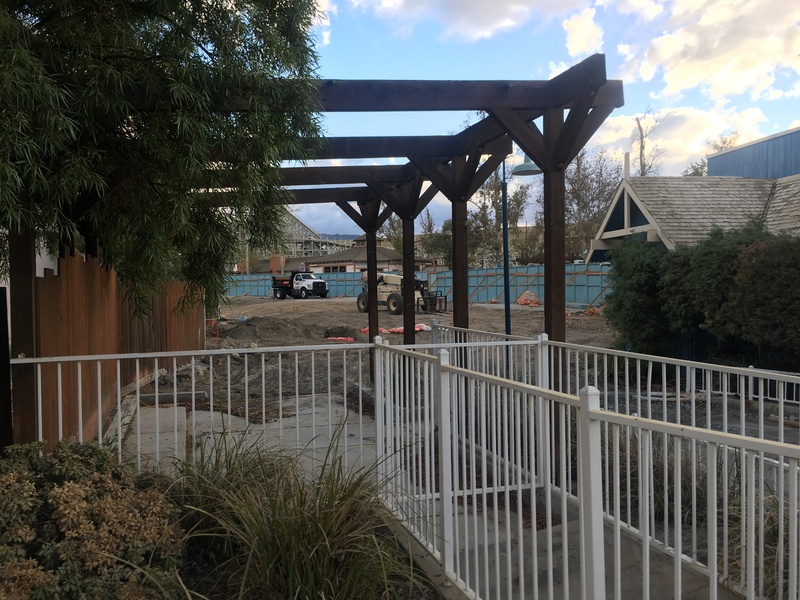 The park has been expanding on locations to purchase alcohol over the years and this will make the park’s fourth location that is now open. As you can see there are ample beer selections to choose from ranging from draft to bottled. There will also be light snacks available for purchase. 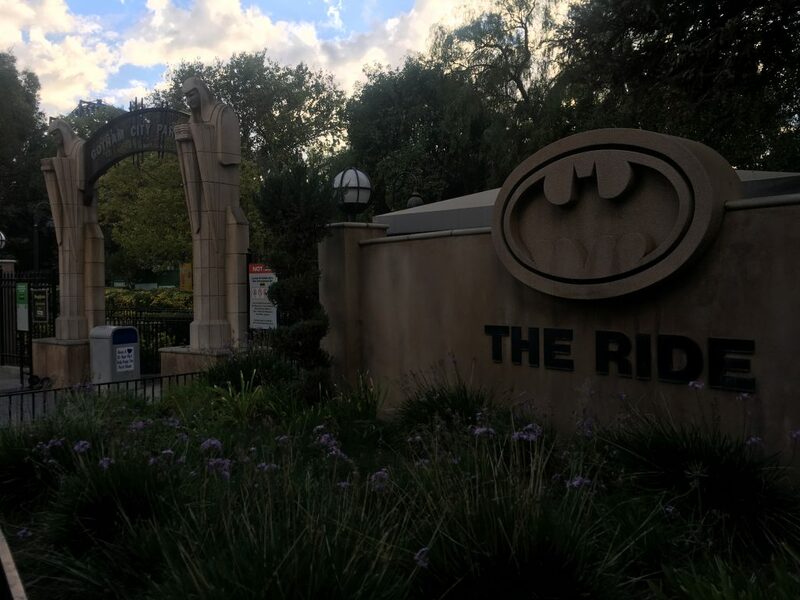 Batman: The Ride is just as old as I am now, so I thought I would get a ride in on this classic attraction. The ride originally premiered in 1994 and this B&M has always been a perfect fit in the parks line up. If you are Six Flags member you can receive up to 50% off of the on-ride video that is available for purchase. There is also Fright Fest merchandise for sale during the day that members can also receive discounts on. 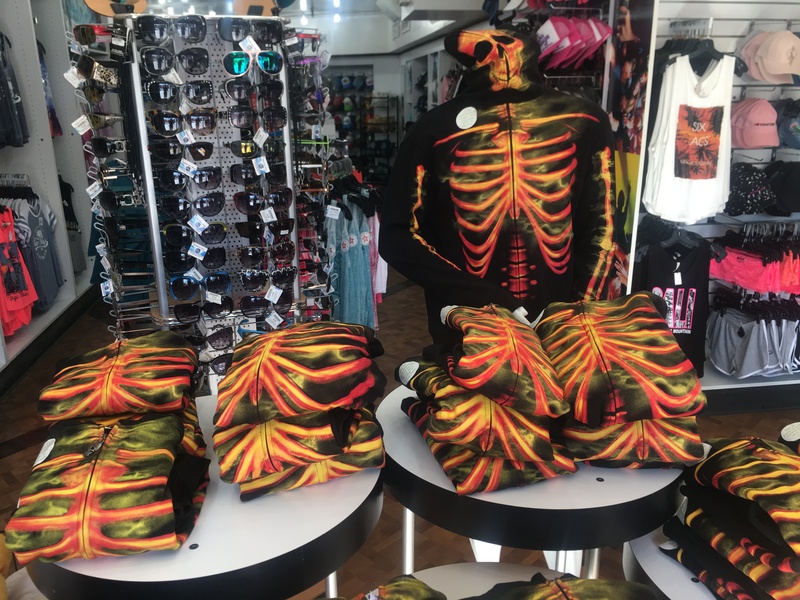 I was almost tempted to buy these awesome skull hoodies and may do it on my next visit to the park. You can find these at many stores in the park including, Studio 6F. 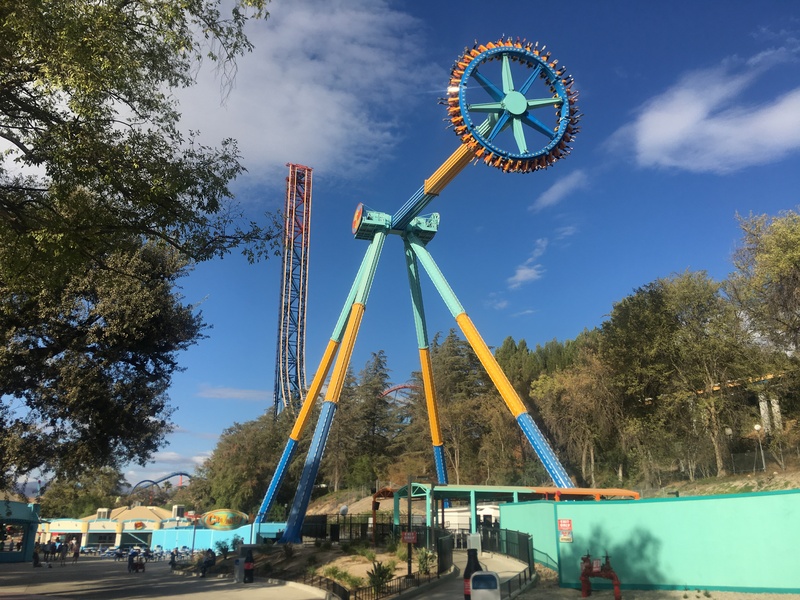 It has been a while since I have ridden this monster and rightfully so I save it until the end of the day because I do not want to get a headache and for the main reason that there is little to no wait. Lately, I have been riding in the front of the train and it has been very re-ridable. So I leave you all by asking are you going to stand by the side or ride? Thank you all for reading this quick update. 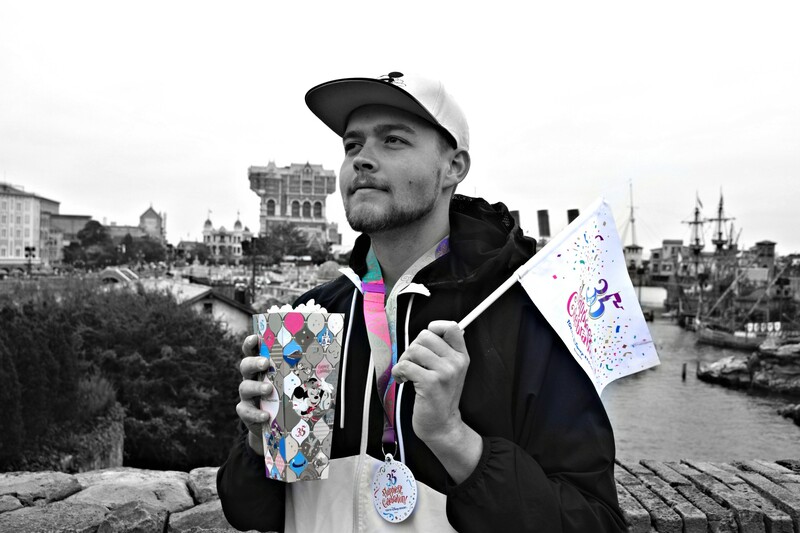 Be sure to check out some of our other coverage now up on the site! Knotts Scary Farm Review 2018 ! 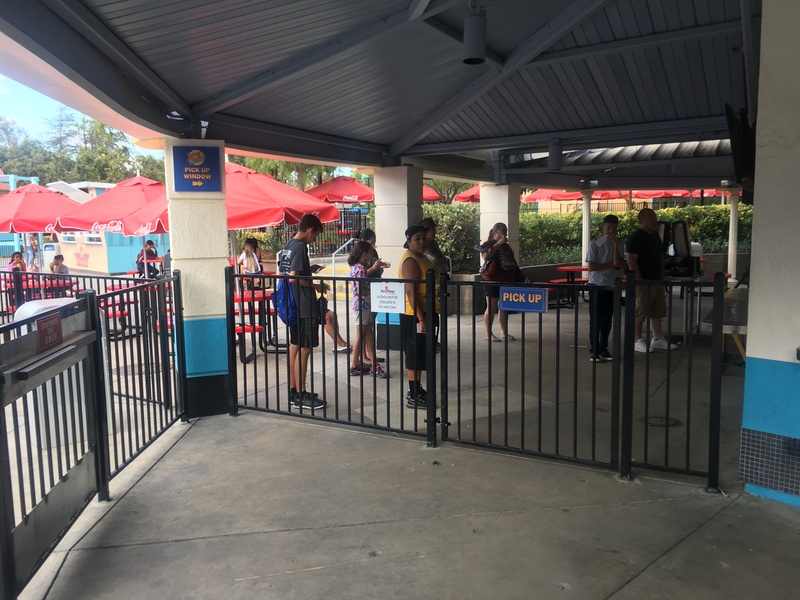 Previous PostPrevious Infinity Falls at SeaWorld Orlando Review! 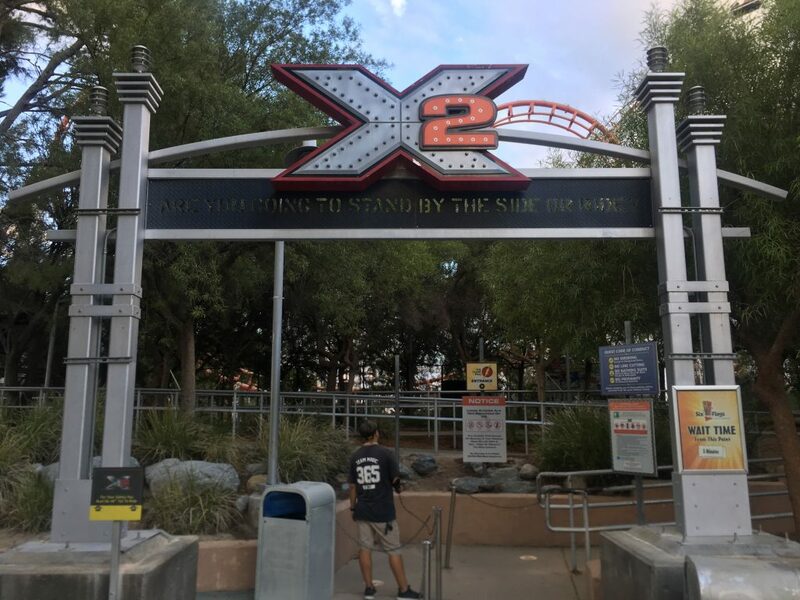 Next PostNext Howl-o-Scream 2018 Review!